Jack White admits there's little that makes practical sense about the White Stripes' upcoming tour through Canada — an ambitious journey that involves stops in every province and territory, from B.C. to Newfoundland to Nunavut. He doesn't expect the expansive — and expensive — trek to make any money. And in large part, it's rooted in childhood fantasies of life in the North. "Even when it doesn't break even, it's still not the point of it, you know," White said by phone from a recording studio in Nashville, Tenn.
"As a kid, I saw some cowboy TV shows where they talked about the Yukon a lot, and the Alaskan-Yukon border. Sometimes there'd be like a bank robber or some kind of a cowboy outlaw that kind of went across the border to the Yukon side of it, and these cowboys or Lone Ranger types couldn't get to them … That was always exotic to me. I always liked that word — Yukon." Besides, it's the rock duo's 10th anniversary this year, and to mark it, the guitarist and his drummer Meg White are on a mission to visit every region in Canada and the United States. They start their 18-city Canadian adventure in Burnaby, B.C., on June 24 and wrap it up in St. John's, N.L., on July 16. The U.S. leg that follows includes stops in the 16 states they have yet to visit. But the rocker with the wild dark mane is also on a quest to discover his Canadian roots. White notes that family from his father's Scottish side spent "a couple generations" in Nova Scotia before heading south to work in Detroit car factories. "There's family all throughout there — all around Sydney Mines and Antigonish and all those places," said White, whose family background isalso half Polish. "Supposedly there's ties from me to [fiddlers] Ashley MacIsaac, Natalie MacMaster." White admits he has no proof of this, so fans may want to take that claim with a grain of salt. 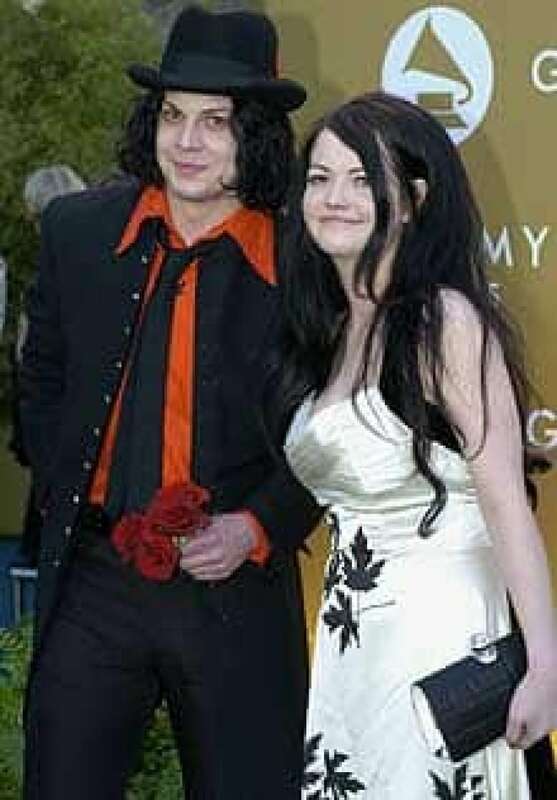 After all, the man's own relationship with bandmate Meg White has long been a bone of contention since they claimed early in their career to be brother and sister. Court documents subsequently revealed them to be divorced. White steers clear of questions that get too personal, but nevertheless insists that a highlight of the tour is a stop in Glace Bay, N.S., on July 14 — the band's 10th anniversary. White said the confluence of that landmark date with the Maritime province was a happy coincidence. "I'd always wanted to go to Nova Scotia, I'd never been there and it landed on our 10th anniversary — it was kind of perfect," White said. "We found this beautiful theatre, it's all red and white and black inside, and it seemed to be a 'God-bless-the-moment.' Hopefully it'll be a good show." Most of the Stripes' other Canadian stops involve provincial capitals, but there are also smaller communities often ignored by rock itineraries. For a time, larger centres like Montreal and Toronto were left off the Whites' list altogether. "I first started off saying I don't want to play the major cities in Canada," White said. "That's where my head's at. Let's just play everywhere else in Canada that we can. But, you know, you got to make the tour work, you got to pay for the bus and the truck that's got your gear in it. There's got to be something that makes sense business-wise, I suppose." Tour economics aside, White insists that smaller shows tend to equal bigger fun. They often draw diverse crowds that are more appreciative of the performance, he said. "Playing in a smaller club is better than playing in a big arena, playing in a small town is better than playing in a big town, and playing in a town that is on the outskirts that people don't usually go to is, of course, way better than playing a huge, major city in any country," he said. "You're always going to have better shows because people are just more involved. In the bigger towns, sometimes you'll find crowds that kind of go to rock 'n' roll shows and kind of treat it like they're going to watch a movie or sit in front of a television. They're not involved actively in any way, and it's disappointing. Because the show, it could be so much better if people would sort of put forth some energy. Sometimes you're dying up there. You need a helping hand." The White Stripes' sixth studio album, Icky Thump, comes out June 19. White said the name is derived from the expression "ecky thump," a traditional phrase from northern England that his wife, model Karen Elson, would use. "I was just saying it out loud when we were writing the song and it sort of summed up that song and it started to sum up the entire album, and that sort of started to sum up the whole 10 years we've been together … It just felt right every time the word got written or said." White said fans can expect "a heavy record" that touches on a wide range of genres including Scottish music, mariachi music, speed metal and southern American country music. Amid all the tour planning, White is also hard at work on his second Raconteurs disc. He said they've put down about 20 tracks so far.